I might NOT be the world’s best sleeper but I am a pretty decent cook and I can throw a good dinner party so I got that going for me. Things are going well with me not using Ambien but I really want to have my sleep become an effortless aspect of my life and not something that requires much time and practice. One day I pray this will be so. Until then, I keep moving forward and looking for SAFE and NATURAL ways to get restful sleep. Keep sharing my friends, I really appreciate it! But back to two things I manage to do fairly well. 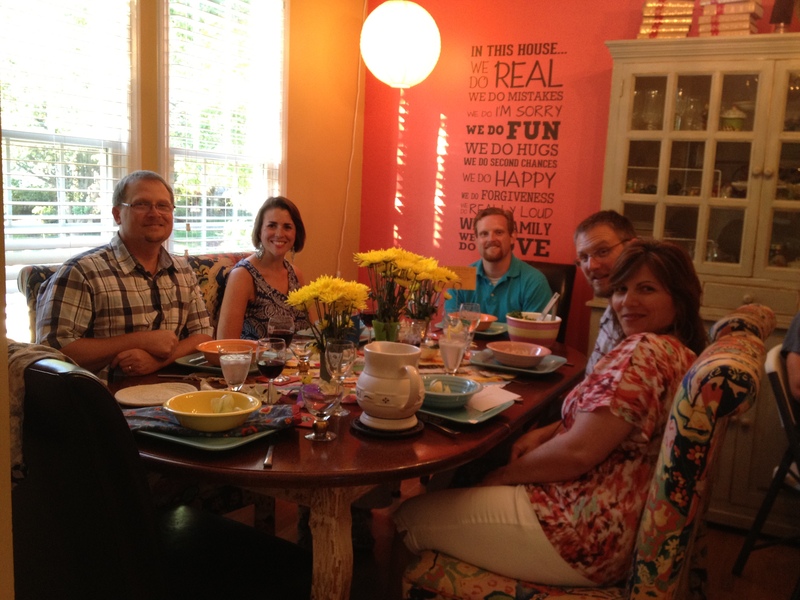 Last night we hosted a dinner party and invited our pastors to join us. Gulp! That adds an additional measure of pressure, don’t you think? Sure they are just people but you really don’t want to do anything stupid when your pastor’s just arm’s length away from you, right? Plus you want everything to taste good, for conversation to flow and for there to be a sweet fellowship among the guests. And you certainly don’t want your kids to embarrass you by discussing that less than stellar parenting moment you had during the week…so I’m wondering if based on all of their congregants’ insecurities, can pastors really have any social life at all? Hmmm…we need to change the paradigm and bless these folks. For days I had been planning Saturday night’s dinner. I moved furniture, consulted with the family regarding the menu, bought groceries and made the chicken broth for the gumbo. I ironed napkins, wrote on our kitchen chalkboard and did one of my all-time favorite things, set the tables. 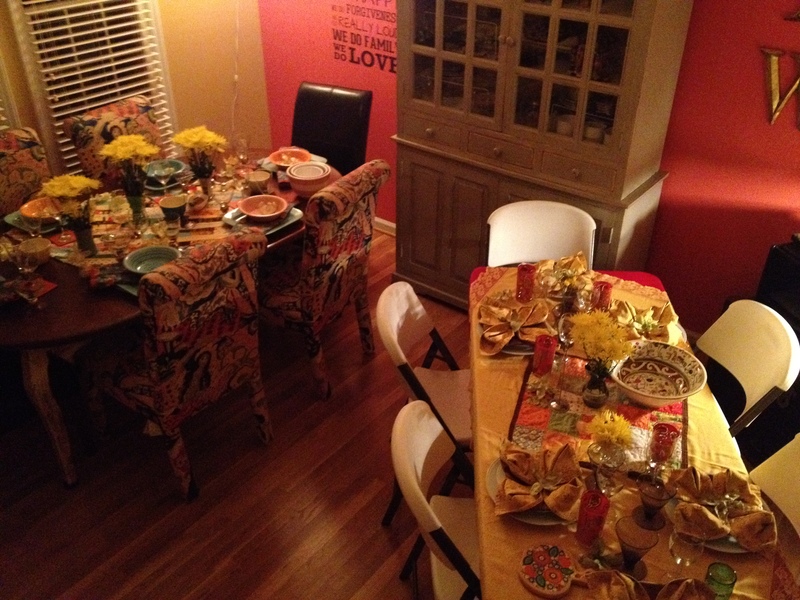 Oh how I love to make a pretty table for my family and friends. It wasn’t the easiest thing to put on the wall but definitely worth it. 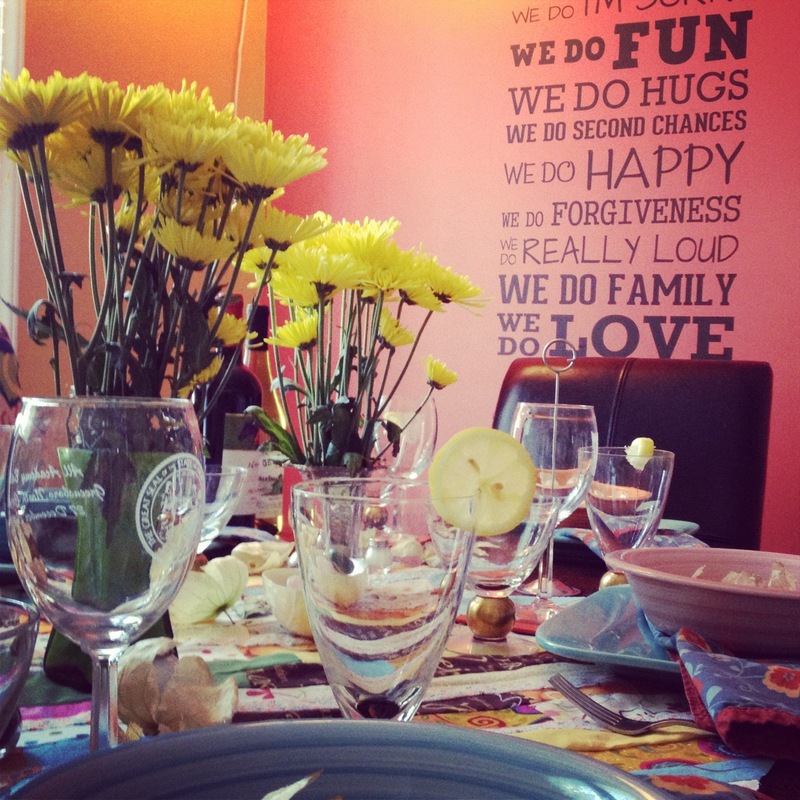 A few days prior, the Hubs had placed a super cool decal on our dining room wall. 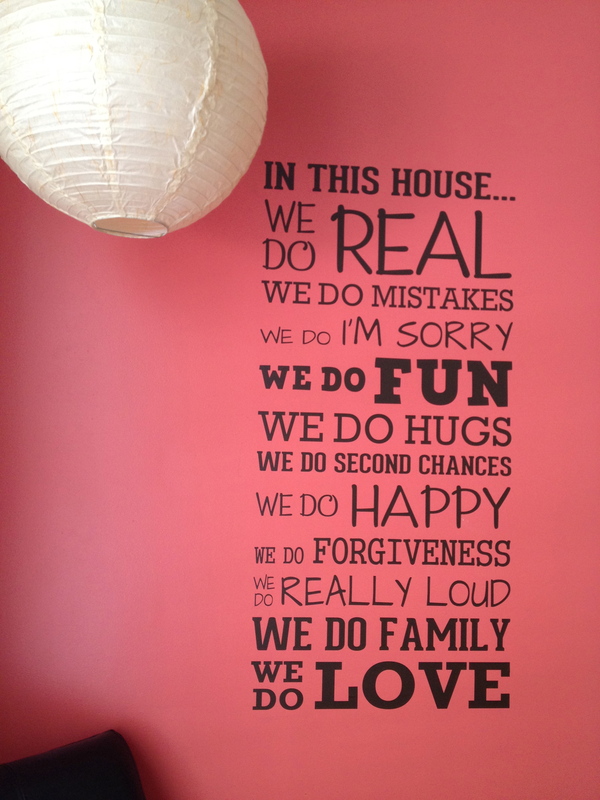 It aptly expresses who we strive to be as a family. Here’s a link if you want one of these decals. 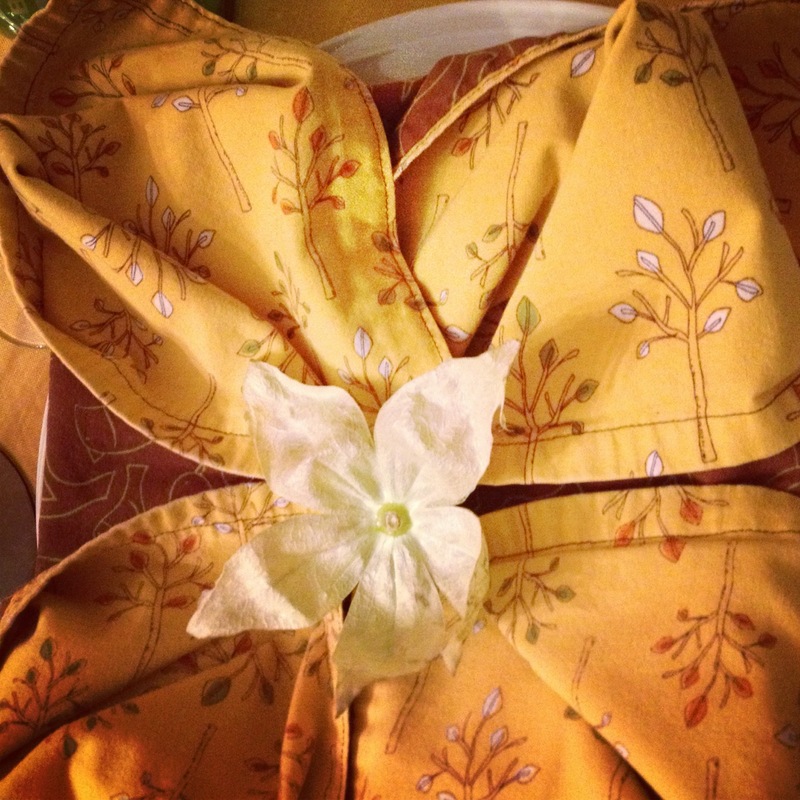 Water lily napkin fold with a dehydrated tomatillo husk in the middle, they are so pretty! For this dinner, I did a super easy water-lily napkin fold technique and added some tomatillo husks that I had dehydrated to the center of the napkin. I have never cooked with tomatillos until a few weeks ago and I was simply smitten with the husks. They looked like little flowers to me. Yes, I felt like a fancy girl and it reminded me of playing with my doll house many years ago. A smattering of the husks dotted the tables. Privately I prayed the pastors and their wives would shriek with delight the moment they entered the room. And while I’m not sure that happened, we had an absolutely lovely time. Pastors and their wives can be super fun! Trust me, we know! And we played Think-ets which became the highlight of the evening. With Think-ets we learned more about each other than we might have just in having simple table talk. Our conversations were personal, deep, hilarious and fascinating. I’ll tell you about Think-ets more in my next post. We have been blessed to have many Jesus-loving pastors tending our family throughout the years but sadly we have never done anything like this before. It was time to offer hospitality to the people who have cared for us and we sought to bless them. 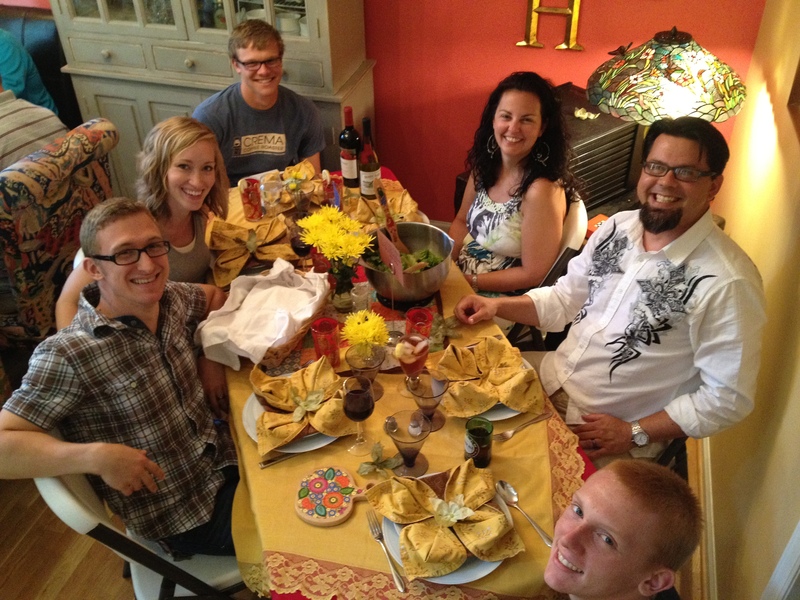 If the thought of having your pastors or members of clergy over to your house invites fear and worry, do it anyway as a way of saying thanks. What to do when pastors are people? Easy. Love them, feed them, pray for them big time because they’re dealing with people like you and me and welcome them into your home. They deserve it and so do you. We called this table the grown up table! It was a lovely time!